The shape itself makes the bag look exotic, that too in this bright hue with detailed embroidery work all over. This semi-circular Gypsy bag is Read More..appropriate for work activities on all occasions. 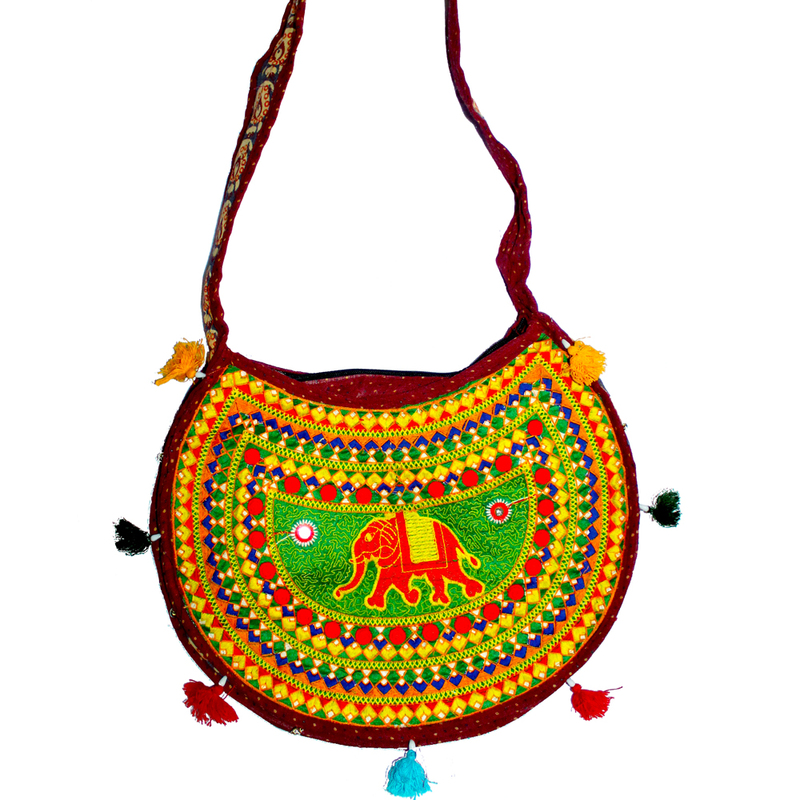 The bright designs make the bag look ethnic and culturally rich. It comes with a long sling making it easy to carry around. Show Less..